Zippo White Matte Chimpanzee Smiling Monkey Windproof Lighter | BUDK.com - Knives & Swords At The Lowest Prices! You've never seen a smile like this before! 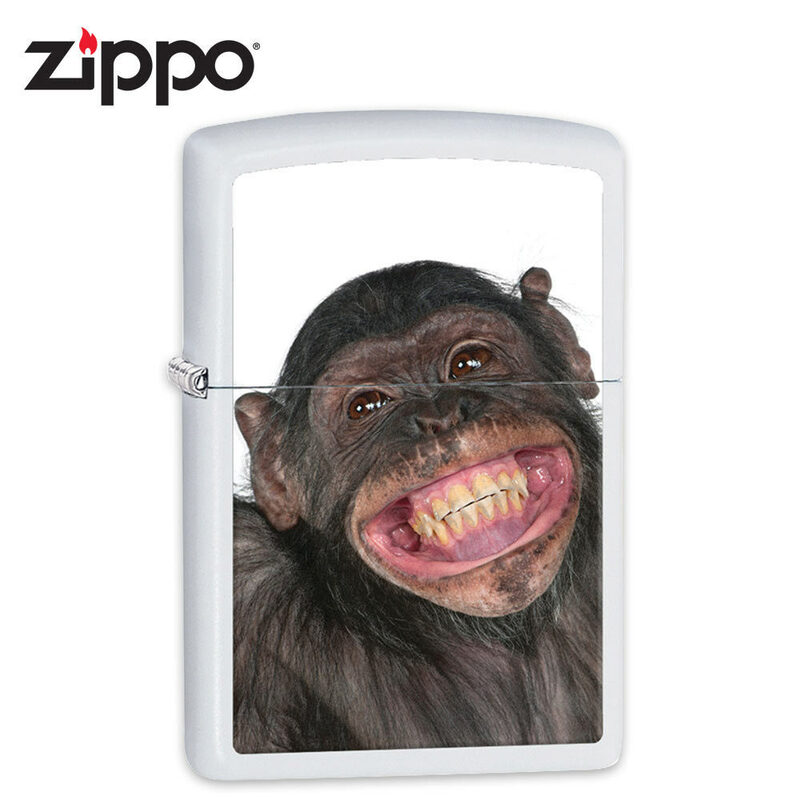 New from Zippo is this white matte windproof lighter featuring a beaming chimpanzee on the front. Most importantly, it provides Zippo's legendary windproof performance, guaranteed! Made in the U.S.A.